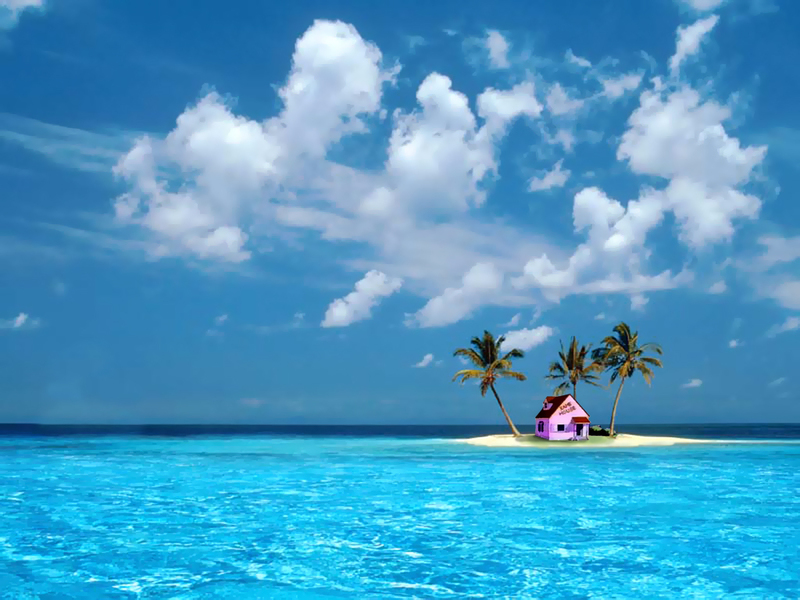 Kame House. So pretty . . . .. HD Wallpaper and background images in the 龙珠Z club tagged: dragon ball z dbz anime master roshi island beach kame house turtle.